Sony’s WH1000XM2 wireless noise cancelling headphones are the most popular wireless noise cancelling headphones we covered in 2018, which is pretty incredible considering how expensive they are at $350. They’re worth every penny, don’t get us wrong, but they cost just as much as Bose QC35 headphones and yet they’re even more popular among our readers. If you didn’t manage to already pick up a pair this year during Black Friday, we’re going to let you in on a little secret that might help you ring in the New Year with a smile on your face. 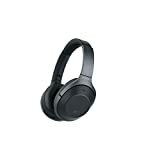 Instead of picking up the US version of these headphones for $350, you can snag the Sony WH1000XM2 Premium Noise Cancelling Wireless Headphones International Version on sale right now for $279.99! They’re exactly the same, so you’d be crazy to pass up this opportunity.